Company Overview - Zhangjiagang Filterk Filtration Equipment Co., Ltd.
Zhangjiagang Filterk Filtration Equipment Co., Ltd. is located in Zhangjiagang City in Yangtze River Area. Zhangjiagang City is a national health civilized city and an emerging port city with beautiful environment and convenient transportation. 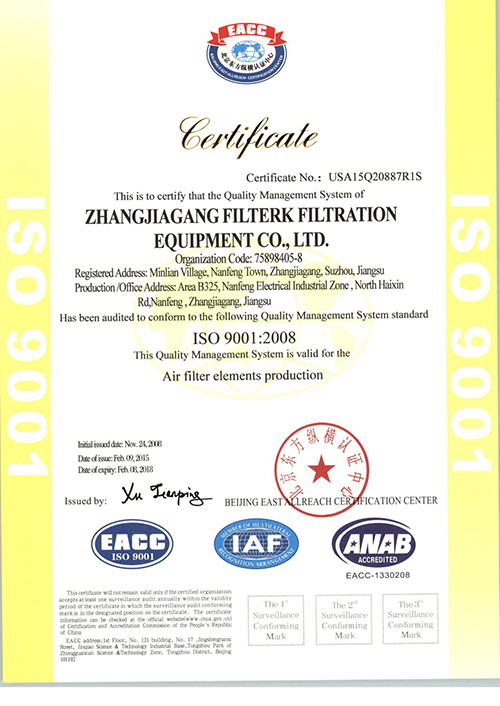 Zhangjiagang Filterk Filtration Equipment Co., Ltd. integrates the research and development and production of filters and filtration equipment. In recent years, our company has continued to introduce advanced technology and equipment and imported quality raw materials.Cooperating with domestic scientific research elites with years of working experience, we have forged ahead and developed into a certain production scale, ranking in the forefront of the industry. 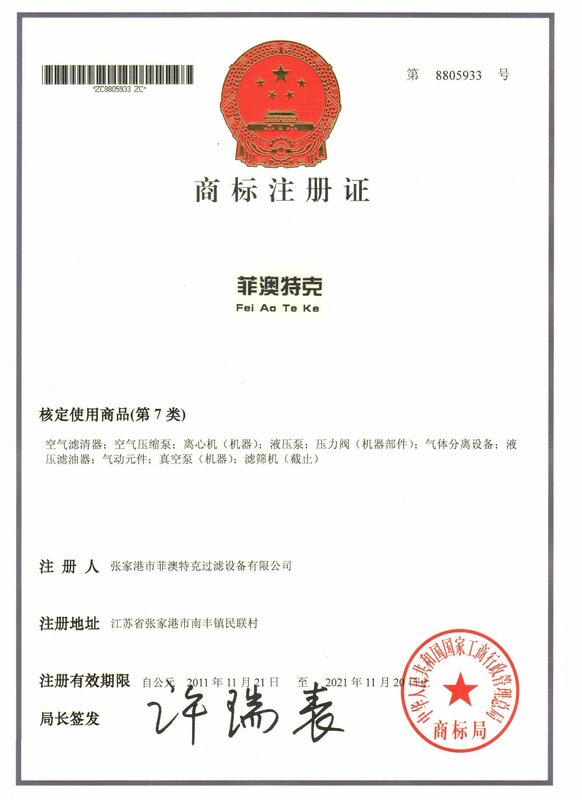 Adhering to the development philosophy of "science and technology first, people oriented", we are committed to promoting our brand image and have attained ISO9001 quality management system certification. With constant technical development and improvement and bold investment both in the structure and function of products, we have been widely recognized by worldwide customers. With "quality first" as our purpose, we provide customers with satisfactory service and continuous self-improvement. Our oil filters, cleaning equipment, gas filtration and separation products and fluid contamination control filtering products have been entitled of "National Torch Plan Key High-tech Products".Main products: A)Dust filter,dust filter cartridge,powder filter,sterilization filter,odor eliminating filter and dust collection filter used in industrial gases,industrial dust,coating equipment and environmental protection.B)Filter cartridge,non-standard filter,pipe filter and transforming import filter to localization used in industrial oil,fluid filtration,hydraulic,lubrication system.C)The air filter cartridge,oil filter cartridge,oil-gas separation filter,lube filter,diesel fuel filter etc. used in air compressors,generator sets,air blower etc.D)Air filter,lube filter,oil filter,oil-water separation filter,oil-gas separation filter etc. used in large machine groups,gas turbine and steamship.E)Non-standard filter design, development and production of various machinery equipment.F)Gas filter of the gas pipeline city gate stations ,pipeline transmission and distribution coal gas filter.G)Oil-water separation filters used in Large machine tools,Universal lathe and CNC lathes.H)Oil filter,dust filter cartridge and air purification filter of various piping systems.